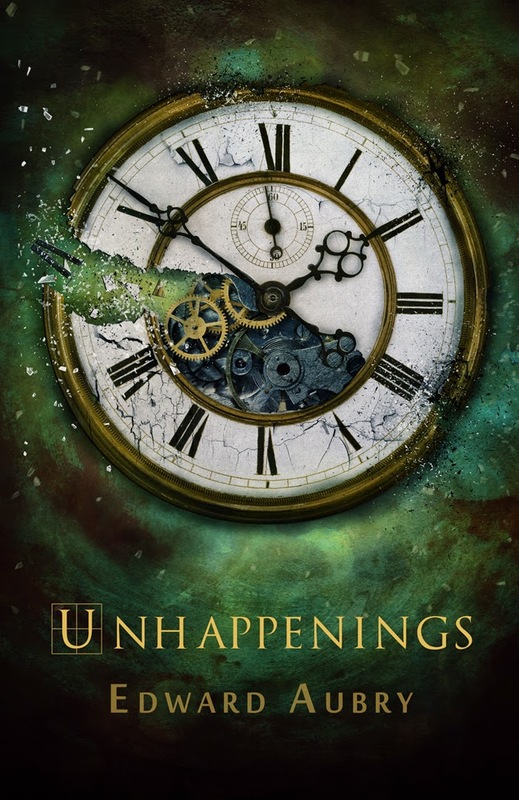 UnHappenings grabbed my attention right away with its beautiful cover and intriguing summary. What all was in store in a book about a young man whose life was constantly changing around him? I was in for quite a surprise, and a good one at that. Nigel Walden has spent his life trying to figure out why everything seems to unhappen to him. These strange unhappenings can be as little as him having a cat he never actually found to as large as people he knew never existing. His quest to make sense of it all leads him on a journey through time where not everything is as it seems. I loved this book. I was pulled in immediately by Nigel’s witty and sarcastic tone as he narrated his tale. I really enjoyed the scientific aspect of it, and the fact that Nigel himself did a lot of research and studying that had to do with time travel. Many books of this type would glance over the sciencey parts (no matter how actual or not they turn out to be) and give readers the barest of information. UnHappenings does the opposite. We travel with Nigel as he tries to unravel the mysteries of time and how to get around it. Edward Aubry’s writing style makes it easy for anyone to understand the time travel aspects of this book so there’s no worry if you’ve never been introduced to time travel. UnHappenings isn’t about time travel alone, it’s also a sweeping love story between Nigel and Helen, the girl who he’s hoping is immune to his unhappenings. I found myself on the edge of my seat at the end of every chapter, wanting and waiting to see if she was still there or if anything had unhappened. I found myself rooting for the two of them throughout the story. As the story progressed I was pulled deeper and deeper into the mystery of time travel and the unhappenings eagerly waiting to get some answers, and when I finally did I was astounded. The writing is wonderful easy to fall into and the pacing is well done. The book was written from Nigel’s continuing point of view so I never found myself confused by which Nigel this was or what time it was like some time travel books tend to do. UnHappenings is much more than a time travel book. It’s a story that will challenge your thinking on love, just how far will one go to protect the love that they have found? I’d recommend this book to any fan of science fiction, time travel, and romance. If you’re looking for a great book with a deep story and wonderful characters then pick up a copy of UnHappenings, you won’t be disappointed. Note I received an electronic copy of this book in from the publisher in exchange for my fair and honest opinion which I have stated above.